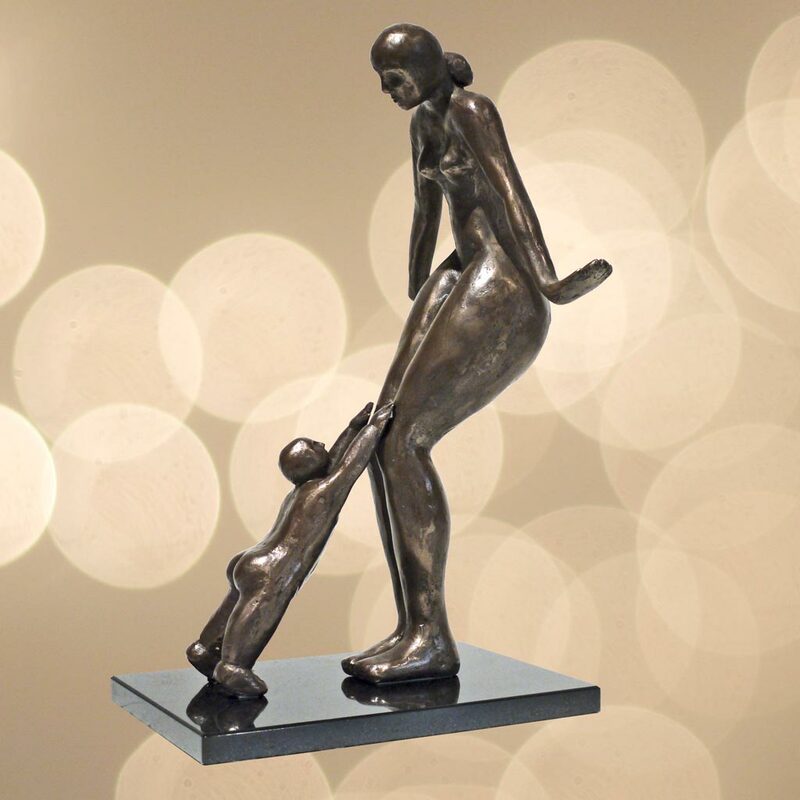 A modern and stylised sculpture of a mother and child capturing the childs desire to be picked up in the mothers arms and the mother enjoying the moment. 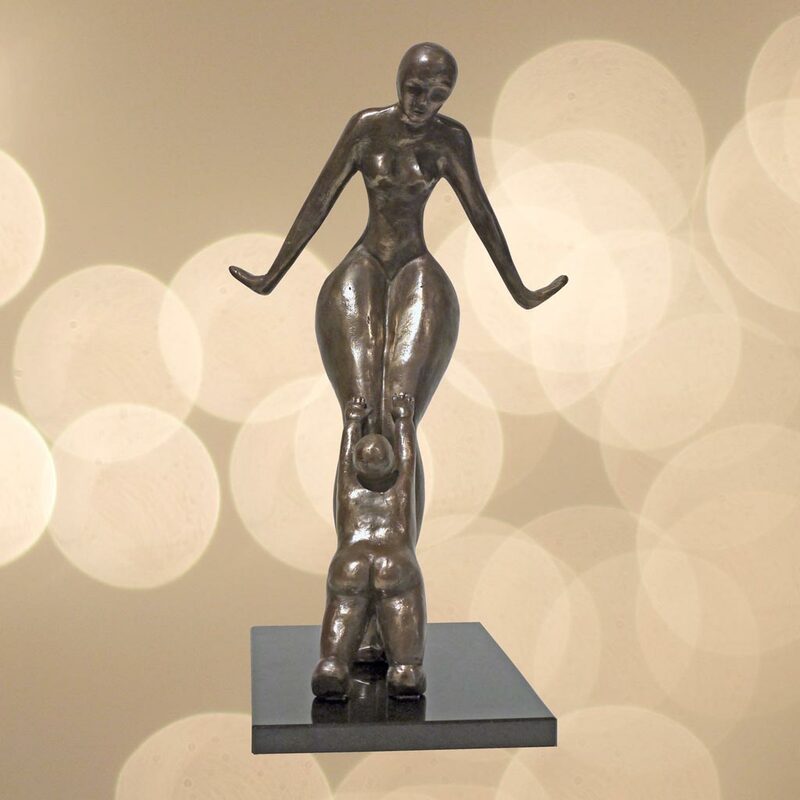 All sculptures are hand finished and available in a range of patinas from bronze to black, plus a range special colours and finishes. © 2019 eva ermer sculptor. All Rights Reserved.